An invitation is a powerful thing. It means you have been accepted and included. It means there is a place for you in the activity at hand. I’ve been invited and uninvited to special events. I’ve been thought of and forgotten. I vividly remember the long walk home after I was asked to leave an event at a not so gracious hostess’ home one evening in college. 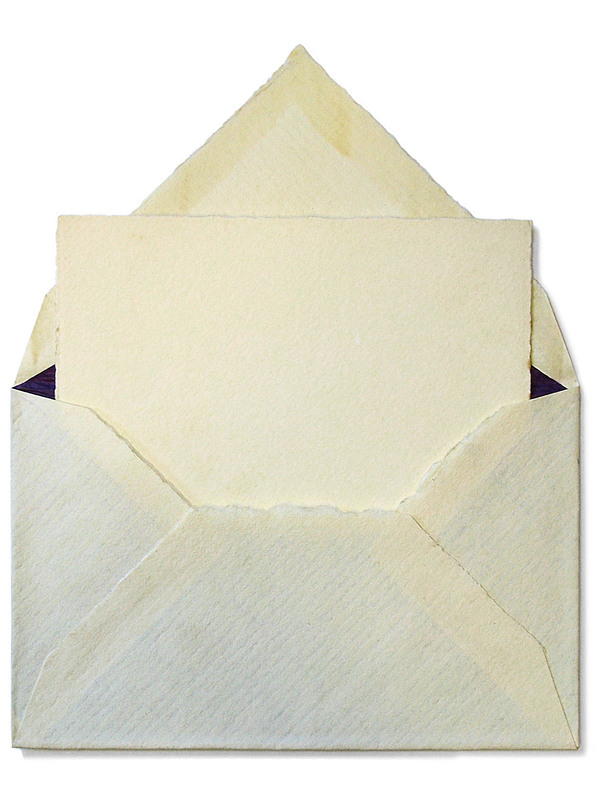 An invitation takes you from being a casual observer to an active participant. It cuts through every potential barrier and puts you on the inside of the action. But, you have been invited to the party! The ministry, death, and resurrection of Jesus are your invitation to participate in the abundant life. The only limitations you have are the ones you have placed on yourself. Nobody has the power to limit who you are in Christ. My friends, God is doing amazing things among us. It is an overwhelming joy to be a part of the transformation of lives and healing of the broken. And you can be a participant, not just a spectator. I invite you to take your next step in ministry. 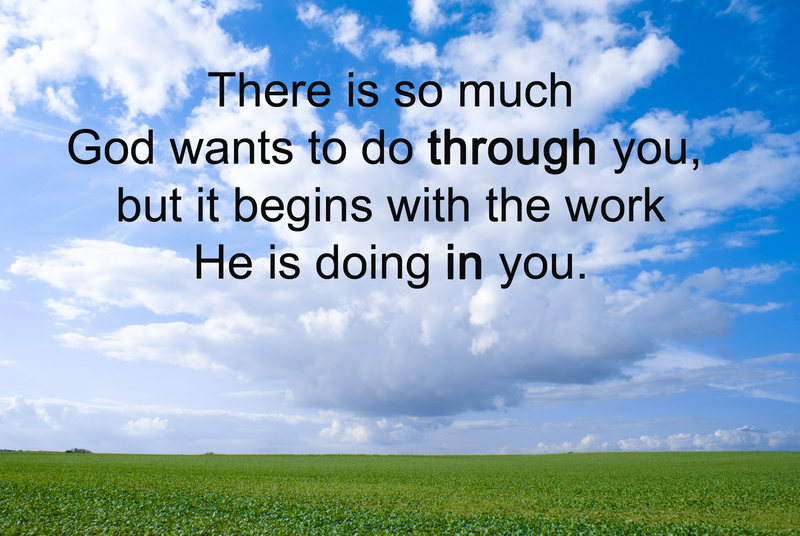 I believe God is calling you to join in the work He is doing. How will you respond to His invitation? In yesterday’s message, we explored the story of a man named Jacob in the Bible. His life is woven together with the thread of “almost.” Many times he found himself incredibly close to God’s plan for his life, but he would so very often pull up short before he reached the goal. Almost Never Happened: Jacob’s mother, Rebekah, was barren, but his daddy, Isaac, prayed for her, and she conceived twins. Almost The First Born Son: Even from the womb, Jacob was grasping for the blessings of God as he grasped at his brother’s heal when he was born. Esau was still the firstborn, but Jacob connived his way into getting the firstborn son’s benefits. He bought the birthright for a bowl of beans, and he stole the blessing with a bowl of soup. Almost Married The Girl Of His Dreams: In one of the most heartbreaking stories of the Bible, Jacob wakes up the morning after his wedding to discover he is married to the wrong woman. Almost Got Paid For Years Of Work For His Father-In-Law: Jacob’s father-in-law, Laban, steals the flock of sheep he had promised to give to Jacob. Almost Leaves His Father-In-Law Behind: Jacob attempted to leave his father-in-law’s house and get a fresh start on life, but his wife, Rachel, stole her father’s idols and brought all of the spiritual junk with them. Almost Repents And Gets Right With God: In fear of losing his life, Jacob cries out to God for protection, but he ends up wrestling with God rather than surrendering to Him. Jacob almost loses a leg in that wrestling match. But something happens in the middle of Jacob’s almost life. God steps in. God doesn’t just almost step in. God steps in. And God fulfills His promise to Jacob, and His purpose for Jacob’s life. I challenge you to leave your life of “almost” behind. Allow yourself to fully surrender to God, and dare to discover what He can do through a life that is completely given over to Him. The gift of tongues is one of the most amazing presents God has ever given. As we learned in yesterday’s message, tongues has value both in a corporate church service and in the personal life of a Christian. The grace to pray in other languages is a gift available to every believer who has received the baptism in the Holy Spirit, and it has many benefits. Praying in tongues allows your spirit to pray and by-pass the emotions or misunderstandings of your mind. It is not a replacement for praying with your intellect and understanding; rather it is a beautiful addition to your prayer life. 1. We pray according to God’s will. 2. We complete the full armor of God. 3. We strengthen our faith. Remember, your prayer language isn’t something that is received as much as it is released once you have received the Baptism of the Holy Spirit. I encourage you to continue to pursue a release of this amazing gift in your life. Allow the grace of God to empower you to engage your spirit in prayer and let your mind take a break! In my high school Physics class, we had the chance to take on the legendary assignment to drop an egg from the roof of the school without cracking it. This project was cool for a variety of reasons, the first being we had permission to get up on the roof of the school. It was also a project that allowed us to get out from behind the desk and apply what we had learned to a hands-on project. We came up with some wild and crazy contraptions involving coat hangers, rubber bands, duct tape, electrical tape, scotch tape, athletic tape, and anything else we could raid from the teachers supply closet. Most of our designs looked great and were built on good theories, but the structures we created just didn’t hold up well to the long drop and sudden stop from the roof. Much to our chagrin, the most secure design, even after repeated test drops, belonged to the girl who rolled her egg in a pillow and stuffed it into a shoe box. No amount of bouncing, trouncing, or pouncing could crack that egg. Physics class may have come and gone, but we all still find ourselves trying to develop contraptions to keep our hearts safe from the pounding this world dishes out. We try ideas built on great theories or celebrated in the latest books, but we can’t seem protect ourselves from feeling like we are carrying damaged cargo. There just isn’t a good substitute to being wrapped up tight and tucked inside a safe place. On that day you will realize that I am in my Father, and you are in me, and I am in you. I am so thinking Jesus got an a “A” in Physics class! He knows how to hold the human heart safely and securely. John 14:20 tells us Jesus has wrapped Himself around us, and God is wrapped around Him, then He placed the Holy Spirit inside of us to further cushion us from the hard jolts of life. We are wrapped up inside and out in the marvelous grace of God. All of us were born into a broken world, and we have all experienced the breaking this world has to offer. But, when we are born again in the grace of God, we are born into a security that holds us steadfast through every long drop or sudden stop that comes our way. Attempting to wrap our finite minds around the majesty of an infinite God is a wonderfully noble, if not oftentimes laughable goal. But, our love for God and His gift of the Holy Bible lead us onward into a continual discovery of His nature and character. In an attempt to explain the essence of God in the Holy Trinity, one of the most beautiful documents ever to describe God was written in the year 500 A.D.
We know it today as the Athanasian Creed. Neither confounding the persons; nor dividing the substance. For there is one person of the Father: another of the Son: another of the Holy Ghost. But the Godhead of the Father, and of the Son, and of the Holy Ghost is all one: the glory equal, the majesty coeternal. The Father is uncreated: the Son is uncreated: the Holy Ghost is uncreated. The Father is immeasurable: the Son is immeasurable: the Holy Ghost is immeasurable. As also there are not three uncreated: nor three immeasurable: but one uncreated, and one immeasurable. And yet there are not three almighties: but one almighty. So the Father is God: the Son is God: and the Holy Ghost is God. And yet there are not three Gods; but one God. So the Father is Lord: the Son Lord: and the Holy Ghost Lord. So are we forbidden to say, there are three Gods, or three Lords. The Father is made of none; neither created; nor begotten. The Son is of the Father alone: not made; nor created; but begotten. The Holy Ghost is of the Father and the Son: not made; neither created; nor begotten; but proceeding. Thus there is one Father, not three Fathers: one Son, not three Sons: one Holy Ghost, not three Holy Ghosts. And in this Trinity none is before or after another: none is greater or less than another. So that in all things, as aforesaid, the Unity in Trinity, and the Trinity in Unity is to be worshipped. 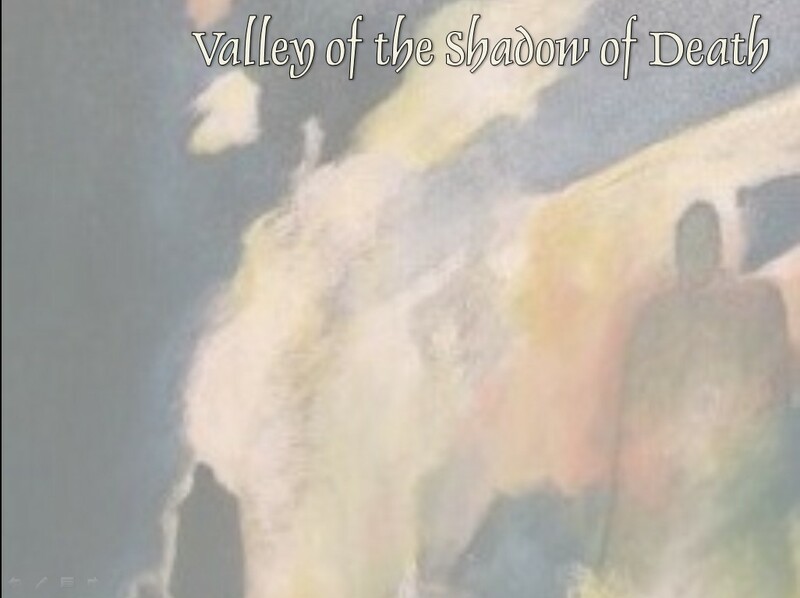 Yesterday, Jim Cargile very carefully walked us through the Valley of the Shadow of Death cleverly demonstrating that the walk is, in fact, the point of it all. If you missed it, check out the podcast when the podcast link below becomes active. It’s an exciting time around EFC! The new children’s wing and youth room are taking shape. If you haven’t seen the progress, pop in some time and see what’s going on. The Children’s School of Worship is fast approaching. It will be August 8-11. You can register your children next week. Check with Pastor Lolo for additional details. Rock the Desert is also just around the corner. If you or your youth are interested, you can contact the other Pastor Loran for more information. You must register by July 28. The cost is $30 which includes your ticket, food and transportation. If you just want the ticket, it’s $20. Growing Together is ongoing and you can continue to help by volunteering to help with construction, painting, and, of course, contributing financially. I can’t guest post on MMR without shamelessly plugging my own blog, Beauty of the Bible (an exploration of the beauty of the Word of God). Come look around and, if you’re interested, subscribe. Interested in other online Bible resources? The Resources page on my own blog has several to keep you occupied. 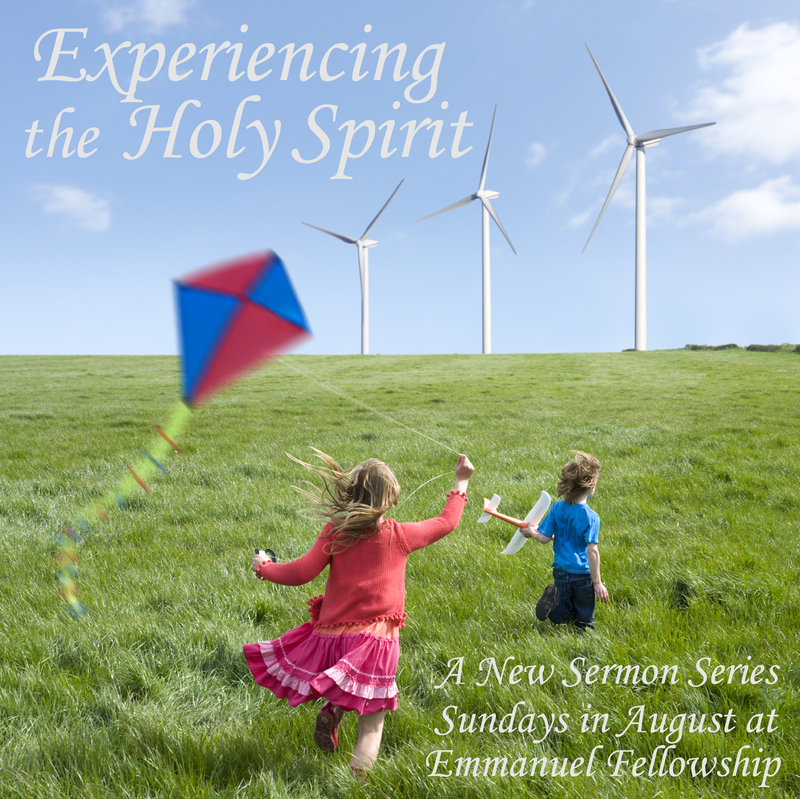 Next Sunday, July 25, we will continue our exploration of valleys in the Bible with the other Pastor Loran. I want to thank Pastor Eric for once again allowing me to fill in and write this Monday Morning Review. I always appreciate the opportunity to do so. Through His death on the cross, Jesus purchased the salvation of mankind, but He won the victory as He prayed alone in a garden the night before. As He prayed with His friends asleep around Him, Jesus wrestled with the cost of saving mankind. It was in this place our Lord won the victory over the cross before one nail was driven into His body. 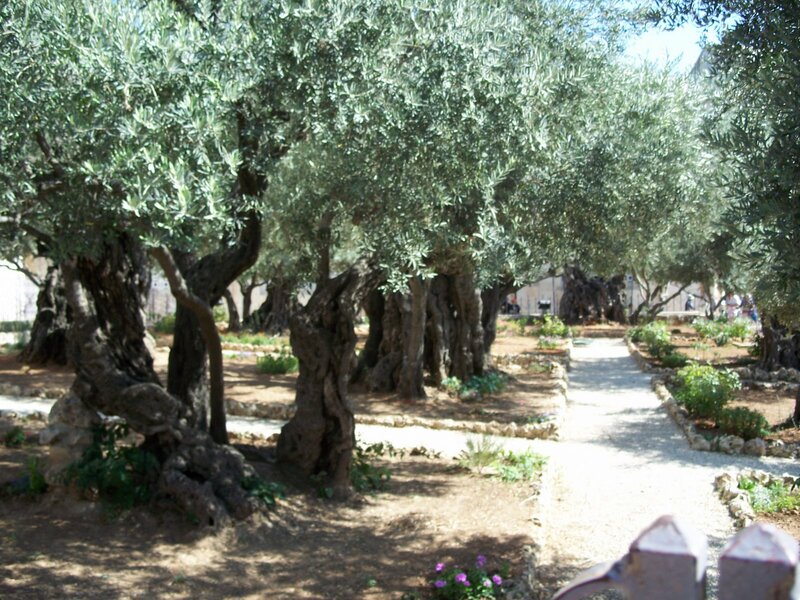 Just as Jesus gained victory over the cross through His prayer in the Garden of Gethsemane, God invites us to this lifestyle of overcoming faith. We can walk in victory before we step up to fight the battle — but, there is an essential key we must see in John 18. Jesus was not a stranger to the Garden, nor was He a stranger to prayer. It is difficult for us to approach God with faith and confidence when we feel like foreigners to prayer. We will not know how to approach God for help if we are not familiar with approaching Him as a friend. I encourage you to meet with God in your garden today; you will be glad you did tomorrow!